A lot of you who are big fans of messaging app WhatsApp- a popular, cross-platfrom, instant messaging application for smartphones. If you’re holding a mobile device, odds are there is a Whatsapp application available for it. The company launched in 2009 and quickly did to SMS what Skype did to international calling on landlines (at least that’s what Wikiepedia is telling me). So here’s fairly big news for the app. Google is attempting to acquire it for one billion dollars. WhatsApp is currently negotiating prices with Google according to an inside source of Digital Trends. The deal started four to five weeks ago. Right now WhatsApp is apparently playing hardball and vying for a higher price, which is “close to 1 billion right now”. It’s becoming clearer that integrated communication services are going to become integral to all the competing ecosystems out there. Microsoft is positioning Skype to be the foundation for communication across their devices and services, Apple has iMessage, and Google has Google Talk, but looks to be expanding their reach with this potential acquisition of WhatsApp. So why would Google spend around 1 billion dollars for an app that most of you might use for free? Good question, some obvious answers jump out. While Google could easily use their existing services to mimic the functionality of WhatsApp, it doesn’t have immediate access to the user base. That’s what Google is getting by buying WhatsApp, all the users. Additionally there is something called ‘Google Babble’ that is going to help combine the different communication services Google has under one product. WhatsApp would help target the mobile segment of their future plans. What does this mean for Windows Phone users? Nothing at the moment. We’re still waiting to get the next version of WhatsApp that will bring new smiles, a quicker app, and more. But beyond that we don’t see what Google or WhatsApp would gain by ignoring their Windows Phone app. Although this is Google, so don’t hold your breath if updates to WhatsApp slowdown in the coming months following an acquisition. Share your thoughts and armchair analysis below! 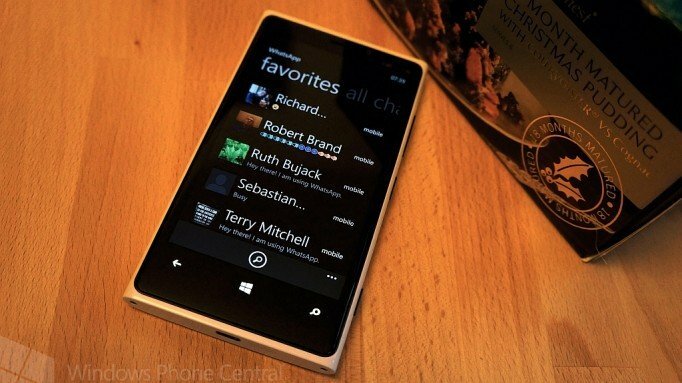 And if you don't have WhatsApp, download it from the Windows Phone Store here.